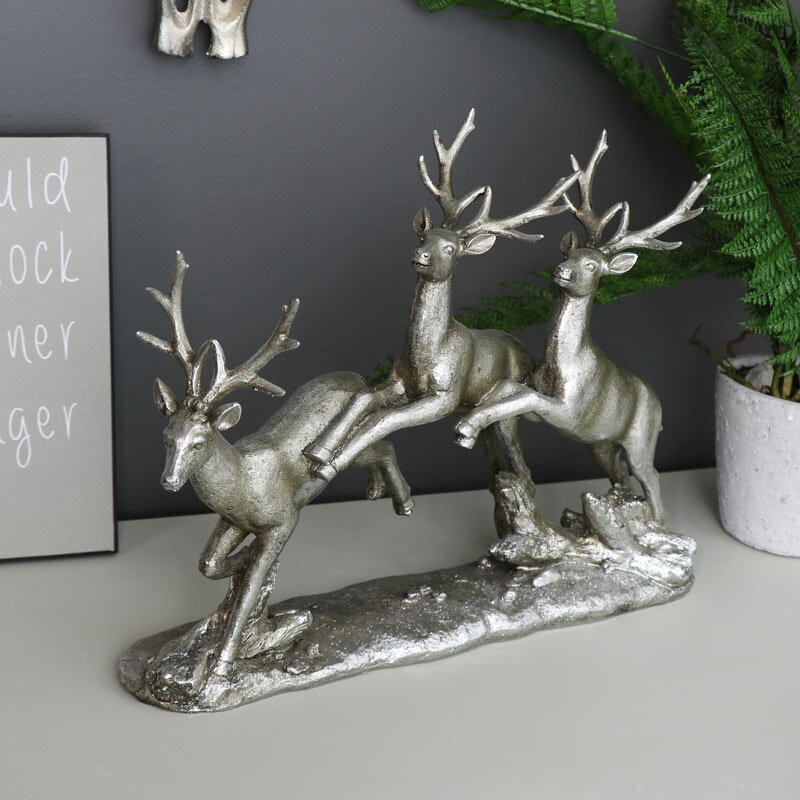 This simply gorgeous decorative ornament is part of our ever growing range of stag decor. 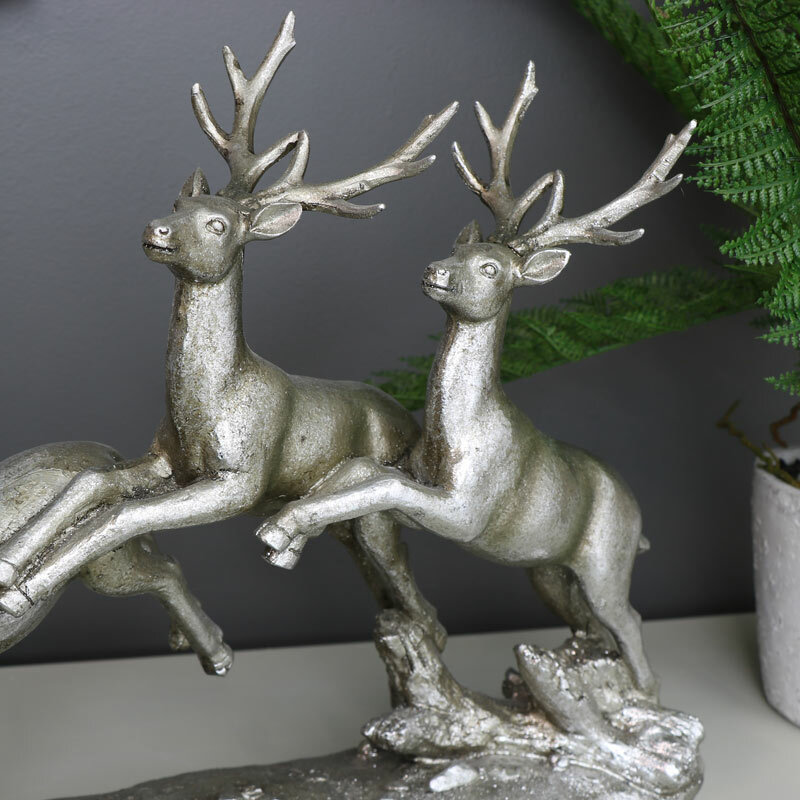 Made to resemble a Stag majestically running this would be the piece to grab everyone's attention when proudly sat on your mantel piece or console table. 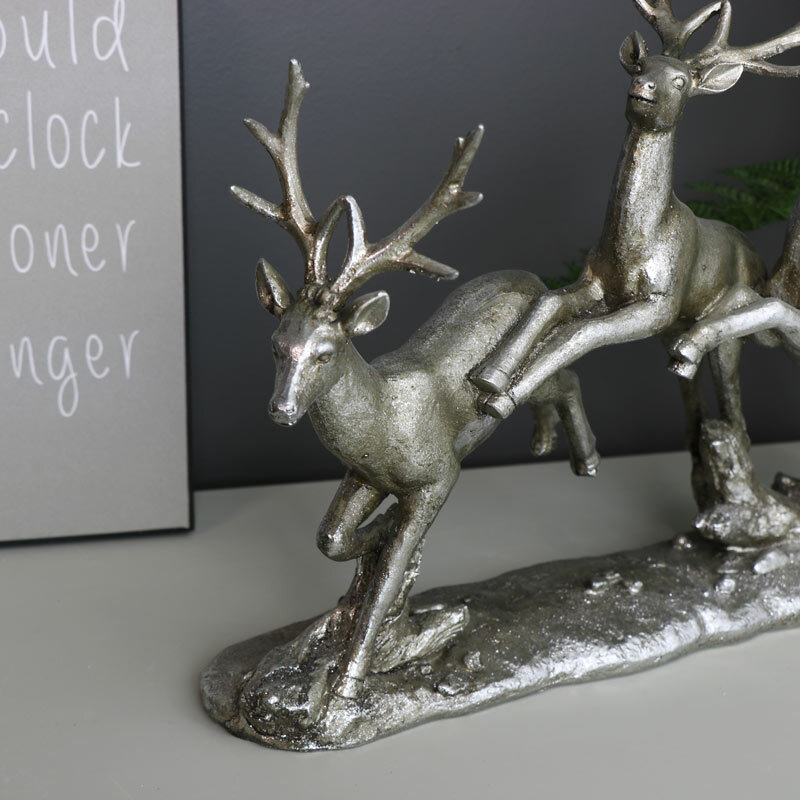 Give your rustic, woodland styled living room or hallway a dramatic piece that is finished in a metallic silver finish. Perfect for anybody who loves the great out doors. Cast from resin in a metallic silver finish. Freestanding design for sitting on a shelf, mantelpiece or windowsill. With a great range of gifts and home accessories, you're sure to find that perfect present for a loved one, friend or family member.